Teach the next generation of divers to be safe no matter where they are. Become an Emergency First Response Instructor today with Total Diving. Some of the most important skills to master when it comes to diving, or even in life, are CPR and first aid. They’re key to keeping yourself and others safe when situations get tough. If you’re an instructor looking to learn new things, becoming more experienced, or teach divers valuable survival skills, then the PADI Emergency First Response Instructor is the right course for you. In this course, you will learn to teach skills based on internationally recognized emergency care guidelines, and will help create a comfortable environment for your students to practice their techniques. 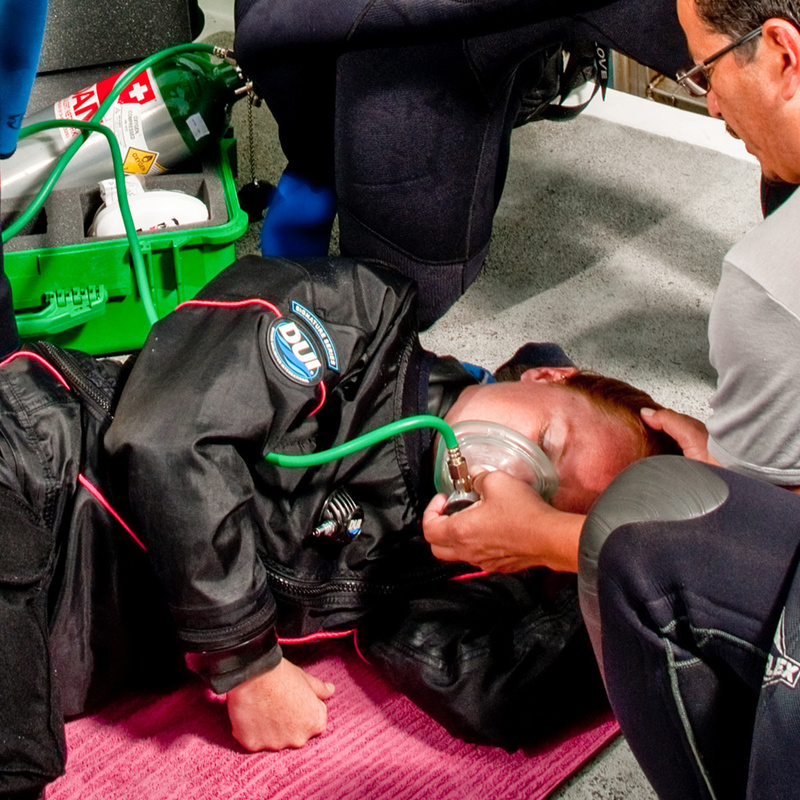 By making this high-stress course a bit easier for your students, you will help create confident EFR-certified divers. As an EFR Instructor, your role is to be a coach that creates a positive learning environment. You will also learn how to present course content, encourage self-discovery in students, evaluate student comprehension and skill mastery during hands-on skills practice, and will learn to manage effective scenario-based learning experiences. To become a PADI EFR Instructor, you must be at least 18 years old and have completed your Emergency First Response Primary and Secondary Care training within the past 24 months. At Total Diving, we offer the EFR course along with our Rescue Diver Course, making it easy for you to get certified. You don’t need to be a PADI Instructor to start our EFR Instructor course, but in order to receive the certification you must achieve for Instructor rating. Essentially, you can begin your EFR Instructor during your PADI Instructor course! Your journey to becoming a certified PADI EFR Instructor begins at Total Diving. We’re equipped to help you through your entire training. Whether you’re training to be an instructor, or you’re just ready to get more familiar and fine-tune your CPR and first aid skills, this course is available. Stop by our store and make an appointment to meet with one of our staff members to talk about your future.